Simplicity is my new home decor trend. 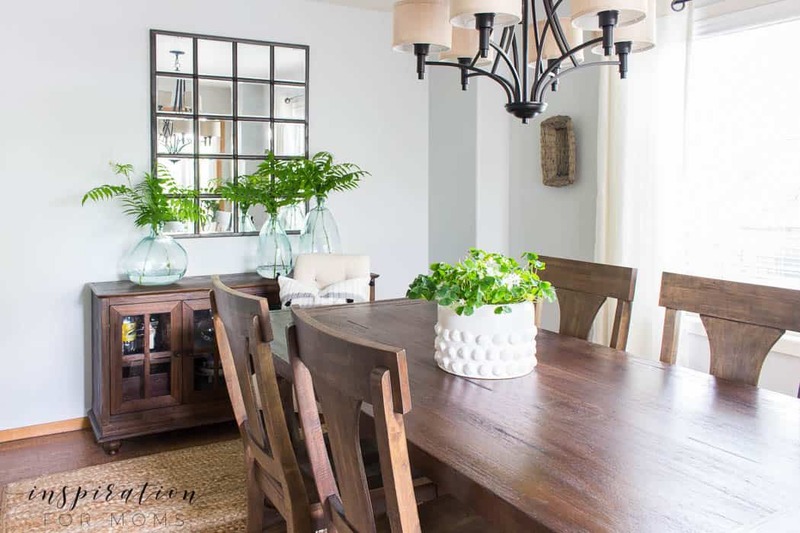 Discover how I created a simple summer dining room decor with lots of green. But not the kind you’re thinking! Sometimes I think simplicity gets a bad rap. It can often be defined as plain or ordinary. 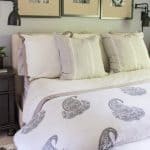 But I like to look at simplicity as ‘freedom from complexity.” Giving your home a new seasonal look doesn’t have to require hours of shopping and lots of money. 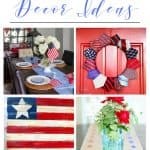 In fact, let me show you how easily I created my simple summer dining room decor with just a little rearranging and a quick trip outdoors! 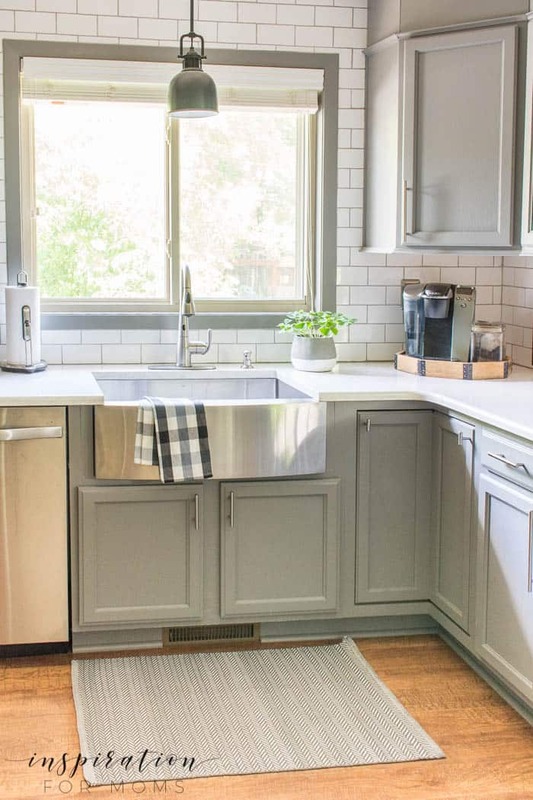 That’s what today’s home tour is all about– simplicity. I’m so honored to join my friend, Krista from the Happy Housie and so many other talented bloggers for a summer edition of Seasonal Simplicity (be sure to check them all out below!!). 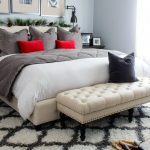 If you are visiting from Just a Girl and Her Blog, welcome! Almost everyday I look around my home and I’m finding stuff that we don’t need or use. And all this ‘extra stuff’ just steals my time and joy. I have to find ways to organize it, clean it, store it, etc. You get the idea. For me, the less stuff, the simpler life gets. So for my summer decor this year, I brought in lots of green and I cleaned. I know that rhymes, but it was really that easy. And you know what? I love the finished seasonal refresh! The dining table centerpiece is a shamrock plant I picked up recently at a local nursery. 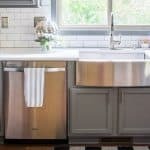 I have a smaller one in my kitchen and I just fell in love with it. I love the pop of green in a simple, but lovely white modern planter. It’s all the table needs. For the sideboard, I unpacked a few clear vases out of storage. I then went and chopped off a few branches from a backyard bush. The big palm branches add pretty color to the room and give the space some new texture as well. I bought a couple of new pillows on a quick grocery run last week. I’m so drawn to black and white decor that I had to get them. Being on sale was a plus. But with their neutral decor, I also knew they would go with any room in our home. I placed one in each end chair and called this space decorated! 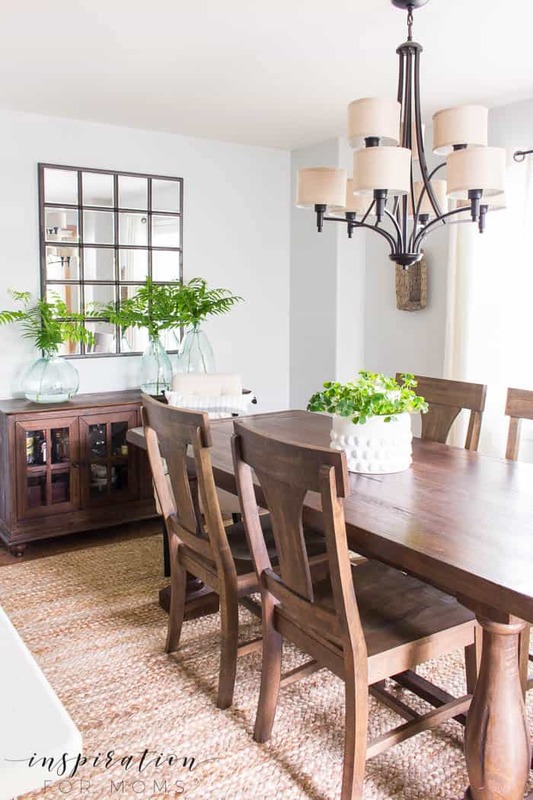 I love the simplicity of this simple summer dining room decor. It just feels clean and yet very summery to me. 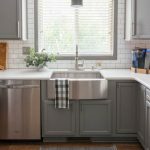 Since our kitchen is adjoining to the dining room, I thought I’d share a few photos of my simple summer updates to this room as well. By the sink, you can see my smaller shamrock plant that I got this spring. He’s doing so good right by the window. And I love his little grey and white cement planter. 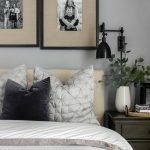 It just speaks to my neutral decor lovin’ heart! 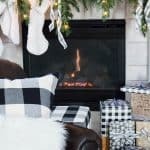 I just love this herringbone rug. It’s been here since early spring too and I don’t think I’ll be moving anytime soon. Actually I want to get a bigger rug just like this for my living room! Trays are my thing. I have them in almost every room of our home – as you can see in this post here. They are just a super simple way to organize items while looking snazzy at the same time! Just more proof that simplicity can be beautiful. 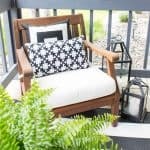 Don’t forget that I’ve teamed up with a talented group of bloggers to share parts of our homes decorated for summer as part of the Seasonal Simplicity Series. You can continue this lovely tour over at Clean and Scentsible. 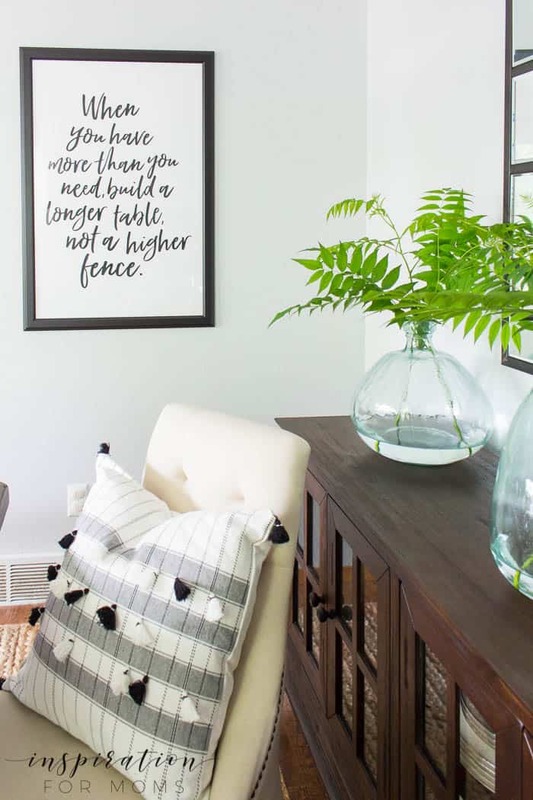 There is so much stunning simple summer decor inspiration for you to enjoy — not just now, but all week long! Happy Summer, friends! 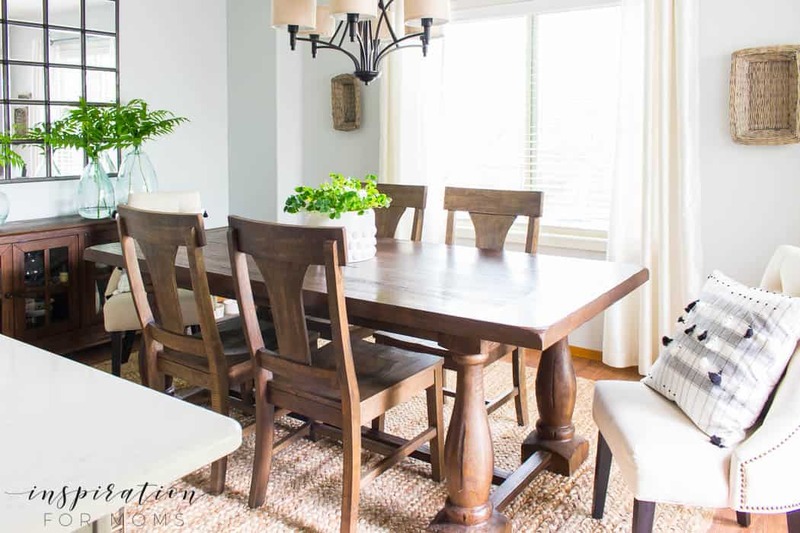 Such a beautiful dining room, Laura! I love all of the gorgeous greenery you added for the season! I hope you have a wonderful week! Love the simple touches and how uncomplicated your summer look is! Beautiful, Laura! 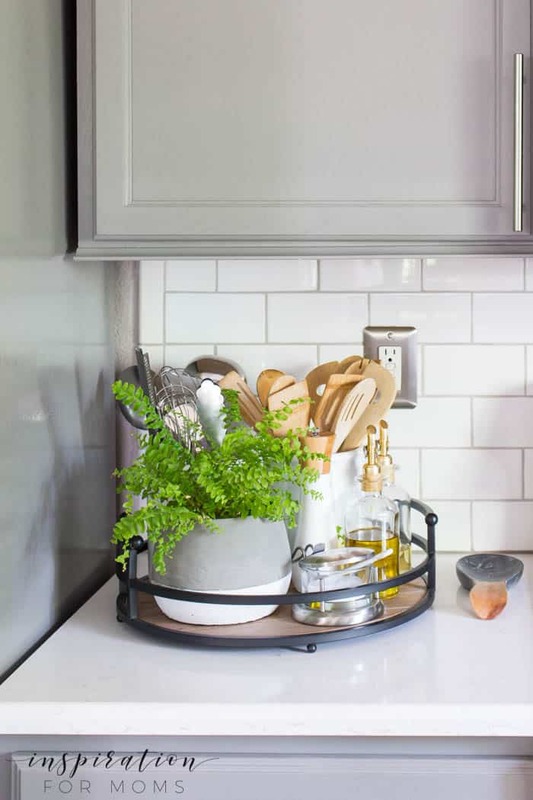 I love your kitchen, and your dining room shines with the summer greenery! I agree – clean and put out some fresh flowers or summer greenery. Perfect! So glad you could join me for this summer series! So pretty and refreshing, Laura! 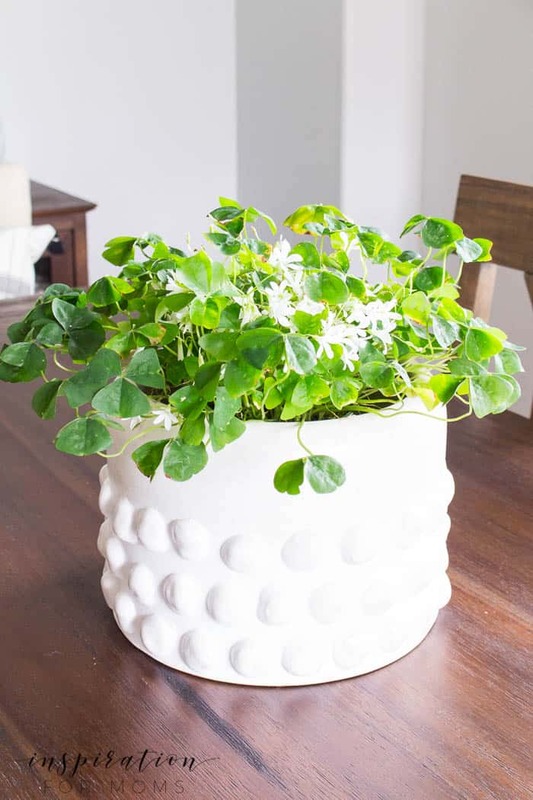 I LOVE your white planter and the shamrock plant, how cool! 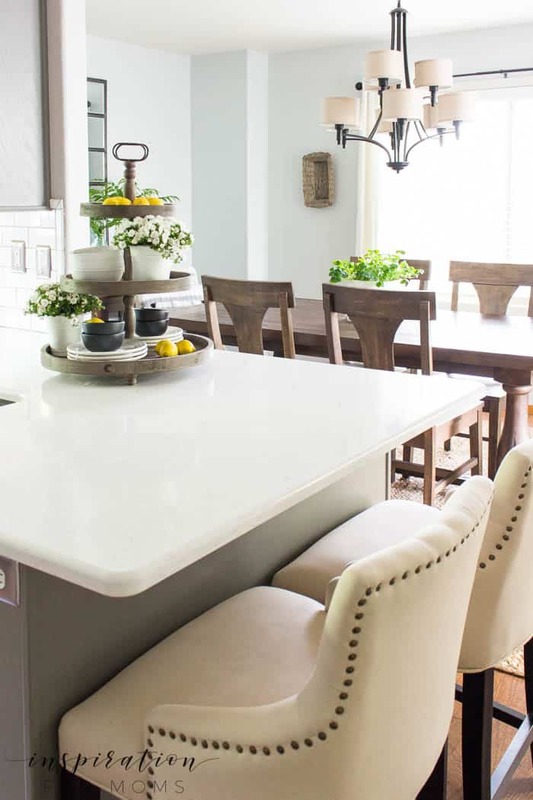 Love your pretty kitchen and dining room. The shamrock is stunning. Simplicity that is chic and stylish at it’s best. Beautiful Laura! I’m a “tray girl” too and love how you’ve styled all of yours. 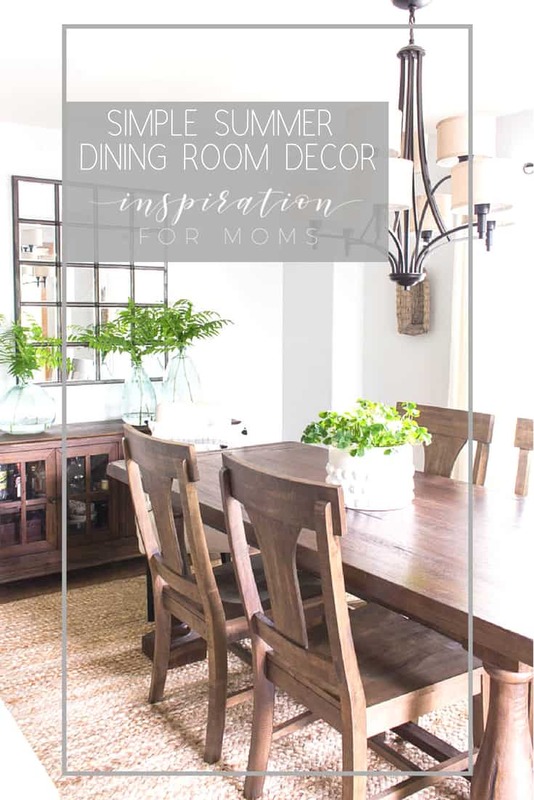 I’m also in love with that mirror in your dining room! Your home is so beautiful, Laura. 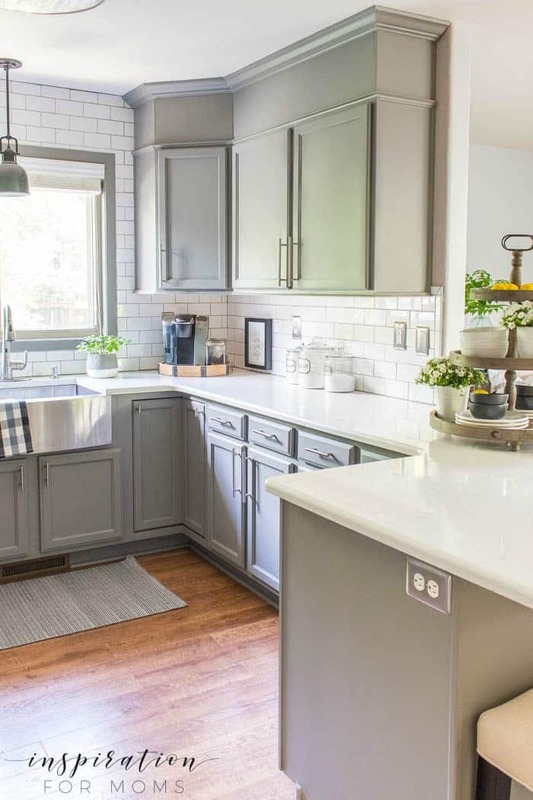 I love the grey cabinets in your kitchen! So beautiful! I love your shamrock plant, I have never seen one! I love the fresh greenery! Thank you for sharing. 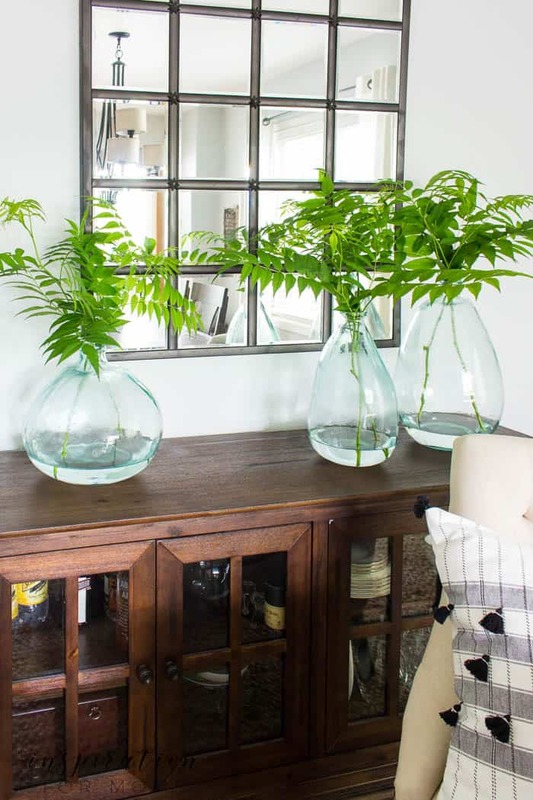 I love the simple summer touches you’ve added to your home! These are some great ideas thanks for sharing.